The primary purpose of a laptop cooling pad is to keep the laptop cool while it’s running resource intensive-programs such as editing software or games. By maintaining your laptop’s temperature low, it will perform at its highest peak, and this will also result in lengthening its life. There are lots of laptop cooling pads on the market, and the best are designed to do more than just keep your laptop cool. They all come with their particular features, so it’s best to take a look at them before deciding which one is best for your needs. 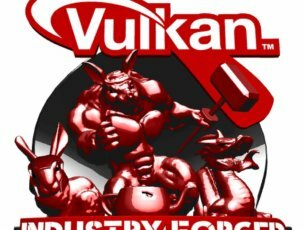 When you’re looking at various cooling pads, it’s not only important to check out how well they control the temperature, but it’s also recommended to consider the features set, build quality and all potential unique aspects of the models. Cooler Master designed the SF-17 with just one 180 mm fan rather than using more fans to keep the laptop cool. The SF-17 is an ideal option for gamers, editors, and coders who own a typical workstation. It comes with a robust set of features and impressing cooling abilities. It comes with four additional USB ports that you can use for keyboard, mouse, headset or microphone. It comes with a rubber thick band that is able to keep your laptop in place. The pad is game-oriented, and it’s designed to fit most gaming rigs. It comes with red LED accents and a chunky and sharp design. The SF-17 features a fan-speed adjustment that allows you to find your optimum balance between cooling and noise. 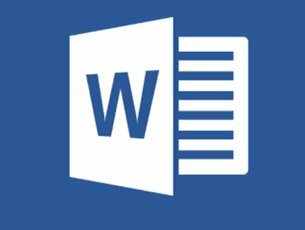 It can be used with laptops up to 19-inches. Even if it can push a maximum airflow of 70 CFM, the SF-17 is really quiet. This is one of the best laptop coolers available on the market, and it’s the perfect option for a workstation workhouse. Tree New Bee’s laptop cooling pad is an excellent choice that will work for laptops sized from 15.6 inches to 17 inches. It will successfully cool your laptop and prevent crashes due to overheating. It comes with four 12 mm fans that blast air up to 1200 RPM (rotations per minute) which is a lot. The design provides anti-skid arms built into a metal platform that helps draw away heat. The aerodynamic design can reduce heat by up to 20%. The cooling pad provides an ergonomic view and a better typing angle. It helps reduce neck and back pain due to poor posture. The pad comes with an extra USB port and wind speed switch design. It allows connecting more devices for increased functionality. It’s slim, portable and lightweight offering protection for your laptop anywhere you go. 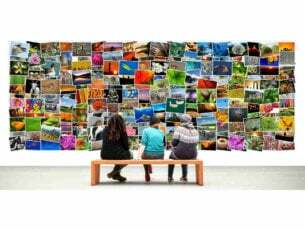 It provides the best balance between silence and performance. With this cooling pad, your laptop will not only stay cool, but it will look cool as well. The Vanble laptop cooling pad is a slim chill mat that is created to work best with laptops between 15 to 17 inches in size. Smaller models will also work just fine with it. It’s powered by three 110 mm fans. 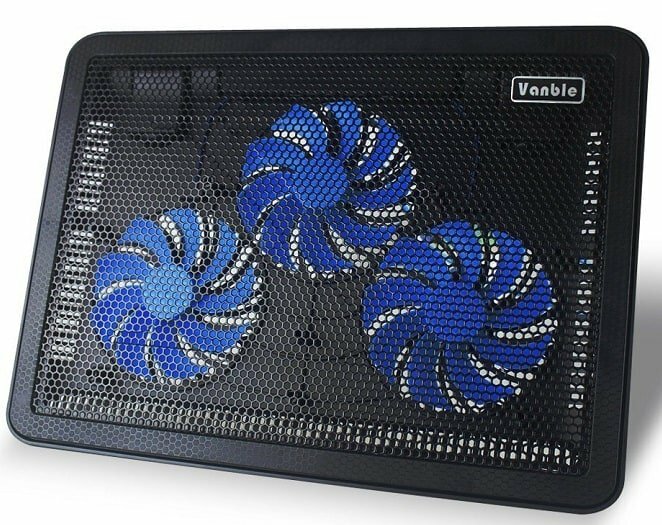 The Vanble cooling pad pushes out over 1100 RPM via a USB cord that connects to your laptop. It comes with two-level adjustable settings for increased support for your spine and back. 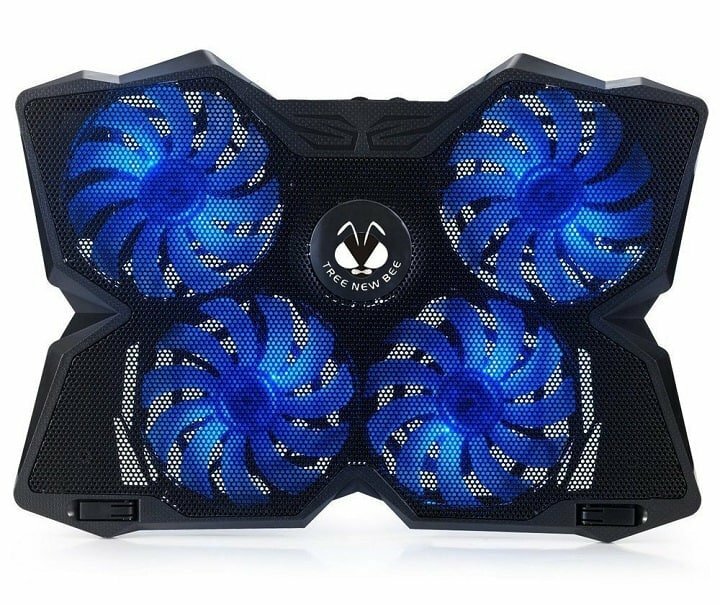 It can quickly and efficiently cool your laptop with its high-powered fans. The extra USB ports provide it more compatibility with third-party devices. The Vanble cooling pad boosts your laptop’s connection limit. It measures 1.1 inches, and it doesn’t take much space on your desk. The fans provide superior airflow at whisper-quiet noise levels. This cooling pad is designed to satisfy all kinds of users’ demands for Office, entertainment, and media as well. 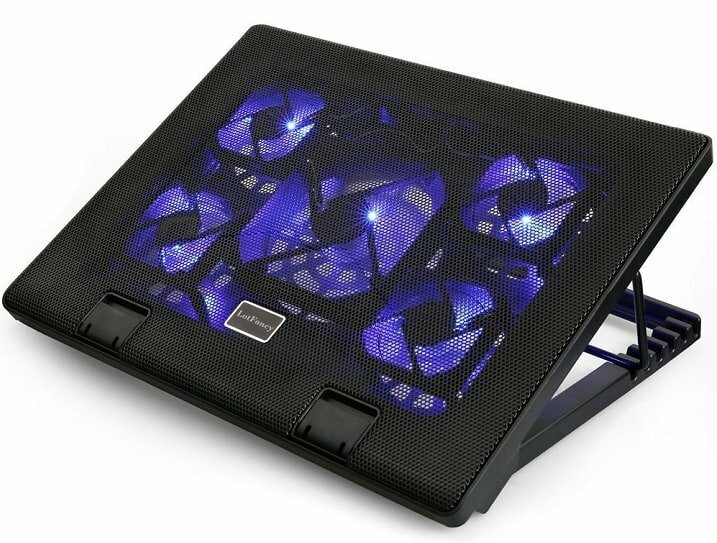 The LotFancy adjustable cooling pad is built for laptops between 11 and 17 inches, and it’s targeted mostly at gaming laptops that work at the highest performance. It comes with six height levels for allowing you to set the most comfortable view. It includes five quiet fans that generate a total of 1000 RPM. The fans disperse the air across the bottom to it moving and to also keep heat from building up. The pad comes with two green LED lights that alert you when the fan is on, and it’s blowing cool air. It includes an additional USB port that can be used for other devices. The laptop cooling pas is powered via your laptop. It can run continuously while you are gaming. The pad cools your laptop and reduces system crashes in a noise-free environment. The LotFancy pad will prevent all unwanted heat issues such as slow performance, and all kinds of malfunctions. Even if it comes with quite a silly name, the Kootek laptop cooling pad provides a level of cooling capability that easily surpasses most cooling pads out there. It’s able to drop the internal temperature of your laptop by up to 30 degrees. 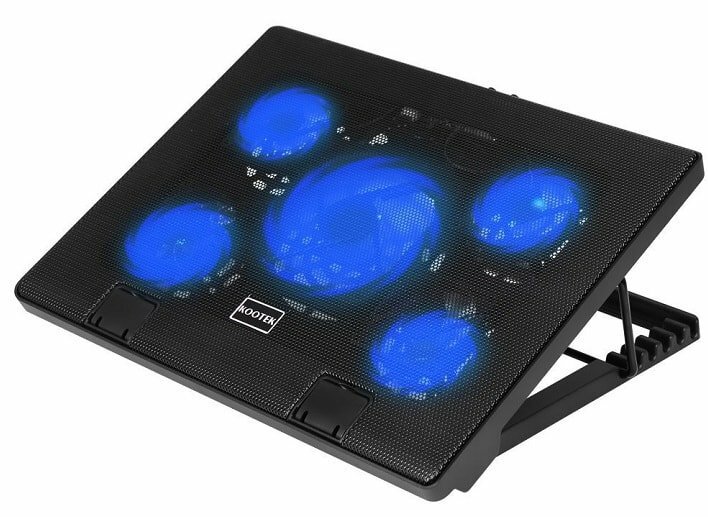 The Kootek cooling pad drops the external temperatures by 11 degrees. It comes with an adjustable stand with six height settings for more comfort for the user. It includes five built-in fans with blue LEDs. The super quiet fans create a noise-free and interference-free environment around the user. The pad includes two on/off switches to control the fans and LEDs at the same time. The dual USB hub allows connections for more devices. The pad has two stoppers on the front to prevent your laptop from falling. This cooling pad will successfully allow your laptop to breathe easily and its durable, sturdy, but at the same time, lightweight construction with metal mesh front is excellent for prolonging your laptop lifespan. These are the five best cooling pads for your laptop, and we guarantee that regardless of the model you’ll decide to get, you’ll be more than satisfied. All these cooling pads do wonders for maintaining your laptop’s optimal temperature and more.